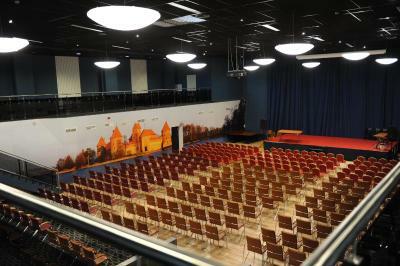 The rooms are large, clean, and modern. The staff is friendly and helpful. The spa is good in design but not everything was in working order. I love this place, because of the Aqua park, saunas and SPA procedures. Good price, clean, big room, calm. Tasty breakfast and dinner. I often go there to relax. Personnel was extremely helpful and nice. Food was good. Location of the hotel is great. Water tubes are good for children. The Hotel and Water park has seen a better days. Renovation is due. Family rooms are spacious however with no personality or any decorations. No floor towel for after the shower. Little pillows were not enough hence we had to ask for the last two available at the reception. 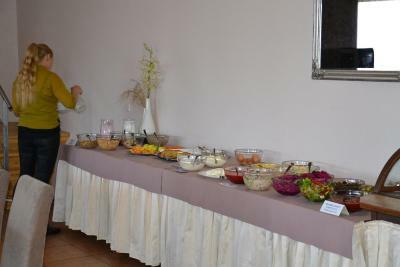 Buffet breakfast had some good Lithuanian traditional food prepared by the cook. 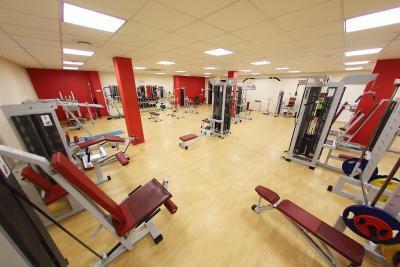 Otherwise the location and facilities are easily reachable from the Train station by foot. Also there's recreational auto shuttle which follows the route from Trasalis to the Castle by the established schedule. Taxi ride from hotel to Castle can be arranged by the receptionist and amounts to 5 euros max. There's a lovely lake across the street to appreciate the local nature. The check in was very pleasant and quick. A warm welcome from the receptionist. 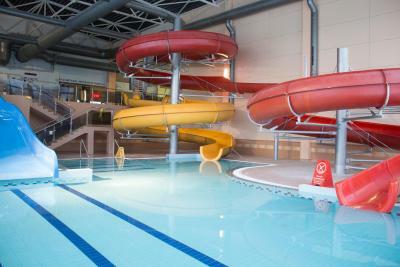 Still very good spa for adults and very good water park for children. Cosy bed, silence. Trakai castle we could reach by car in few minutes. Good breakfast offer. 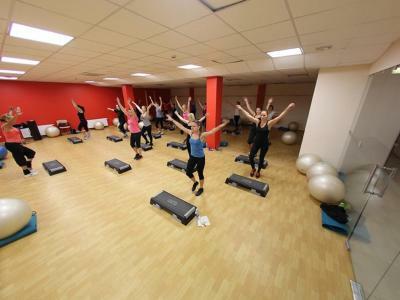 Trasalis - Trakai resort & SPA This rating is a reflection of how the property compares to the industry standard when it comes to price, facilities and services available. It's based on a self-evaluation by the property. Use this rating to help choose your stay! 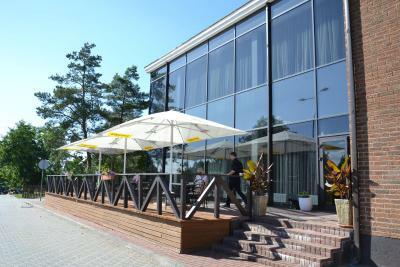 Trasalis - Trakai resort & SPA is located in the historic city and lake resort Trakai. 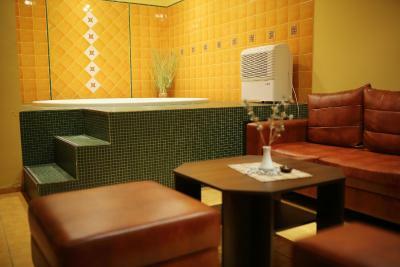 The extensive spa area features an indoor pool and beauty and body treatments. 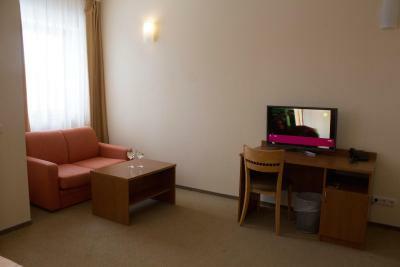 All modern rooms are air-conditioned and feature a flat-screen cable TV, a sofa and a work desk. Room service is also available on request. 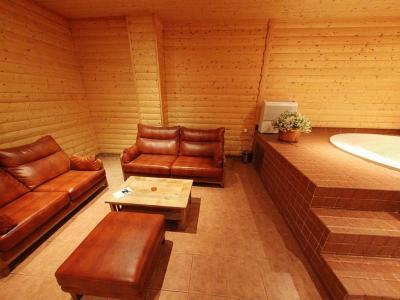 Trakai resort & SPA offers a hot tub, a sauna and various steam baths. 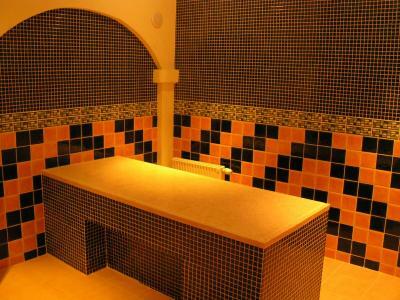 An Arabic Hammam can also be found on site. 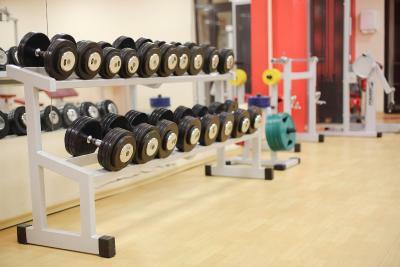 Guests can make use of the hotel’s fitness center, or get active during an aerobics or water gymnastics class. 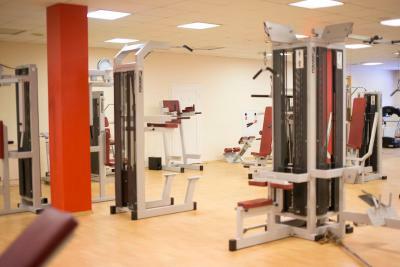 The room rates include 1 hour in the gym and 2 hours in the spa center. 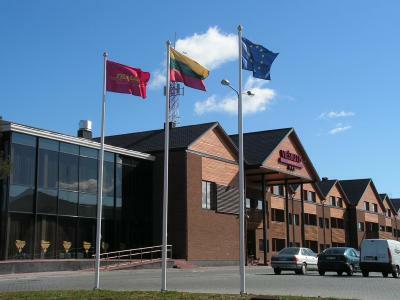 Trasalis resort has a bar and a restaurant which serves Lithuanian and European cuisine. 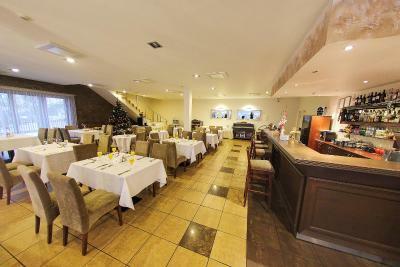 Guests can also enjoy their meals in the hotel’s winter garden. 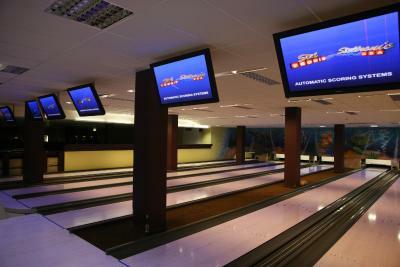 A bowling alley and billiards are at guests’ disposal. 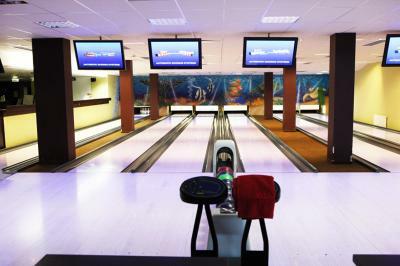 A children’s games room and playground are provided. Trasalis - Trakai resort & SPA is one mile away from Trakai train station and 0.7 mi from the famous island castle of Trakai. When would you like to stay at Trasalis - Trakai resort & SPA? Room with a TV and a bathroom with a hairdryer. 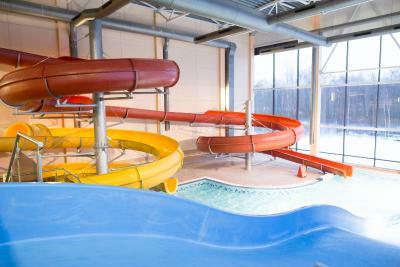 Guests receive 2 hours of free access to the Aqua Park. 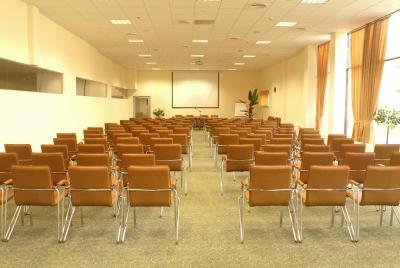 Very spacious, air-conditioned room. 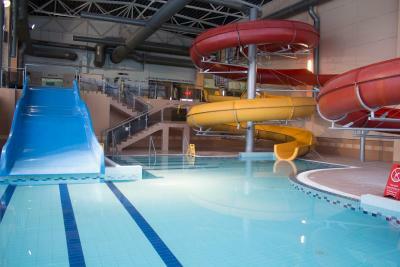 Guests receive 2 hours of free access to the Aqua Park. 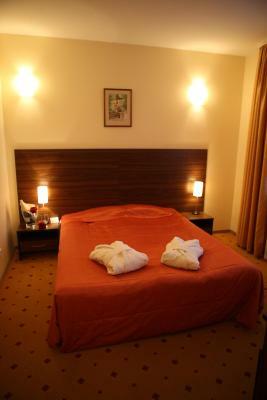 This twin/double room features a sofa, air conditioning and tile/marble floor. This apartment has a balcony, tile/marble floor and kitchenette. "Trasalis - Trakai Resort & SPA" is a centre in Trakai, a historic city with a unique landscape. 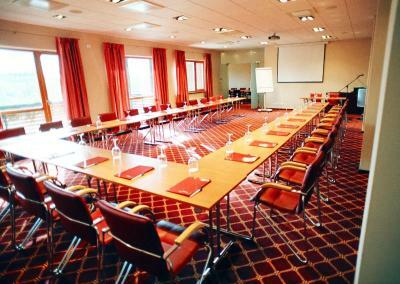 It includes a 3 star hotel and restaurants, modern, spacious conference and event halls, suitable for your business events, conferences, seminars, corporate and family festivals (banquets, a la fourchette, parties), visitors from abroad and tourists. 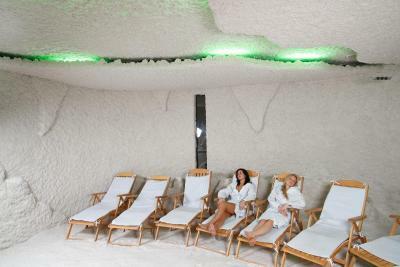 This SPA centre is one of the largest in Lithuania and offers various treatments of body pampering and relaxation, therapeutic wellness and relaxation programs. The beauty salon offers a highly trained hairdresser, cosmetic and manicure / pedicure services. The water entertainment complex has everything for your relaxation, including twisting waterslides, whirlpool baths, Finnish, Russian, Turkish and steam baths and offers Arabic Hamam treatments. There are inviting VIP baths available for your private parties. 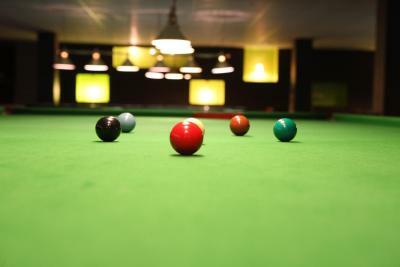 Those enjoying active recreation will find bowling and billiard club, trainer and aerobics halls and can order sightseeing and entertainment trips around the town and environs of Trakai year round. House Rules Trasalis - Trakai resort & SPA takes special requests – add in the next step! Trasalis - Trakai resort &amp; SPA accepts these cards and reserves the right to temporarily hold an amount prior to arrival. Trasalis - Trakai resort & SPA accepts these cards and reserves the right to temporarily hold an amount prior to arrival. Rooms have to be cleaned better, very old furniture. Even though from outside hotel looks like small hotel in Alps,inside a post communist touch could be felt. Curtains were with wholes, matrasess of extra bed with stains and shower in the bathroom with black mold. There were 5 saunas out of which 3 were not working at all times. In wardrobe there were no benches to place the bag,as well as locker key was made in such a manner that it got hot in sauna and managed to scratch my child in several places. 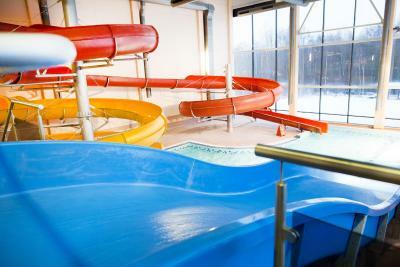 Water park facilities and hygiene. It's time for a considerable renovations given few slides were sealed off, Turkish steam room was unavailable and installations being damaged or broken here and there. Lockers were not safe to keep personal belongings, doors and locks damaged, not closing tight properly, keys not functioning or fitting. Customers don't really use towels on the sauna benches so bear in mind where you sit. A rather surprising experience was to see the parents with small kids drinking alcoholic beverages right in the bubble baths. Everything is dirty and is in urgent need of refubrishments. Absolutely not worth the money paid. How can a 3-star hotel offer just 2 super worn out towels for 2 people? They were grey instead of white, thin, and barely covering the body. 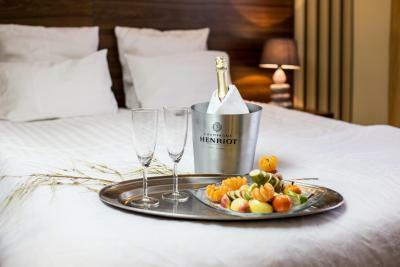 No towels for face, just 2 glasses, no mini fridge, stains on the bed linen and bed cover, extra-thin pillows. During breakfast the food trays were almost all empty, had to ask for glasses; food was plain. The front desk staff were decent, but could have been more helpful. The food in the hotel restaurant was delicious! And the water park (with pools & saunas) was great for the relaxation I needed.